Frangipanis are relatively common and very popular as ornamental plants adorning public spaces in parks and gardens. And its easy to see why. 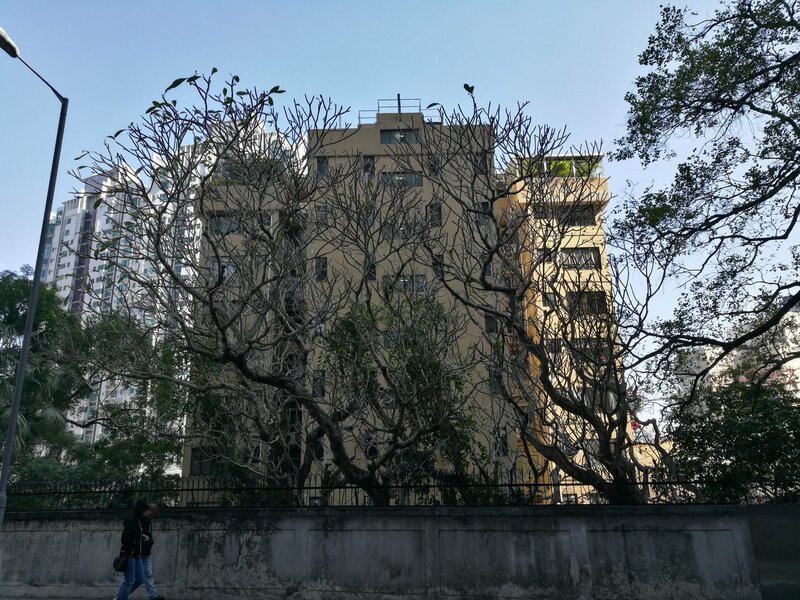 The deciduous tree features prominent, almost cute, tube-like branches that are often barren of its leaves, forming evocative natural sculptures. When the leaves grow, they typically sprout forth from the tips of the branches, which only adds to its ornamental appeal. Then there are the flowers, small brightly coloured gems that resemble ceramic decorations. For the most part, frangipanis are nice, pleasant plants that signal a well manicured garden. But once in a while, aged, venerable members of the specie show off another, altogether expressive side of its character. 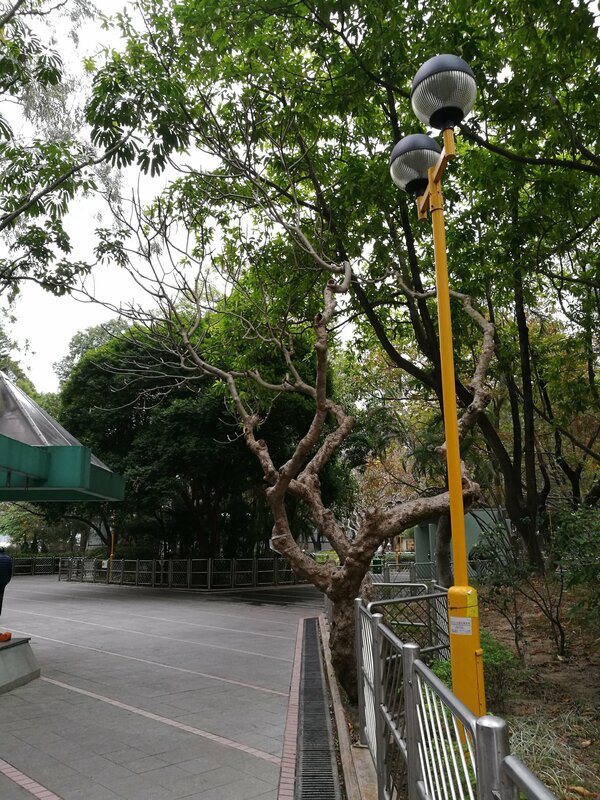 Instead of the gentle, serene feeling of domesticity, mature trees, like these four Old and Valuable trees of Hong Kong (LCSD SSP/3-6) that I came across inside the Shum Shui Po Park, are surreal, eerie even, with their scarred, naked limbs reaching into the air like petrified fossils. Each tree by itself is pretty impressive on its own, but together, the four elder frangipanis form a true masterpiece. 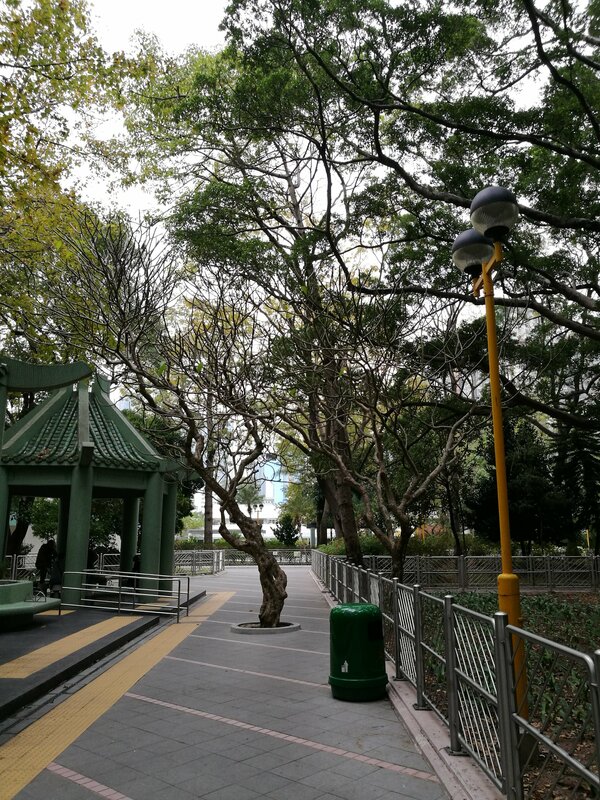 They are all the more distinguished by their status as significant trees in Hong Kong. As far as I know, they are the only frangipanis to be included on the Old and Valuable registrar. Despite their popularity as garden plants in urban landscapes all over the world, frangipanis do have an origin – Mexico and Central America. No doubt the dry climate in that region contributed to its tendency to lose all its leaves to save resources, and its ability to revive its foliage and bloom during seasons of plenty. One interesting fact about the specie is the origin of its common name, which actually comes from Italy. According to Wikipedia, the frangipani name derives from an Italian countess who developed a perfume after the scent of its bloom. In Chinese, frangipani is called Egg Flower, or 雞蛋花 – after the specific variety with white flowers that have a yellow centre, much like an egg. 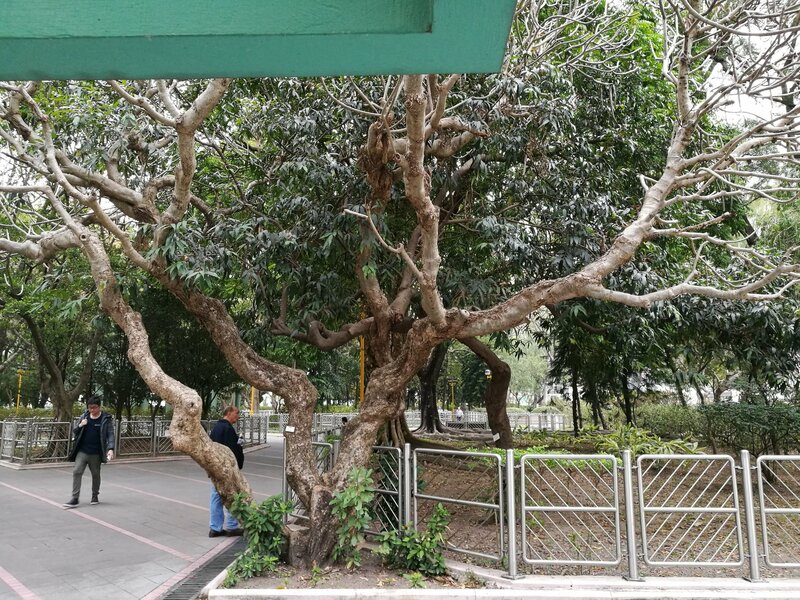 While most frangipanis in Hong Kong are pretty young, there are some rare elders, including many members inside Shum Shui Po Park that haven’t made the official tree registrar, but are no less striking. There is also a massive grove on Conduit Road, near number 39. Egg flower? That is what we call a native poppy with a name I can not spell. Matillija poppy? The white one with a yellow center is one of the easier to grow, if it happens to be the same one. It is a common species. indeed very common but few are so old I think.